1. Being in Places Where Substance Abuse is Occurring- One of the biggest teen relapse triggers is being somewhere that substance abuse occurs. This may be the home of a friend or relative, at a social event like a party, or other situations where the teen is exposed to substance abuse again. 2. Social Isolation- During the early stages of recovery social isolation can be a big warning sign. The teen needs to avoid old friends and old situations that make them want to use again, without becoming socially isolated. 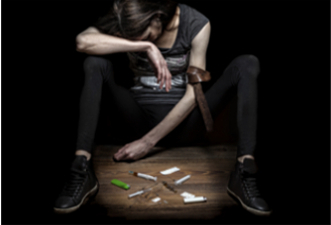 Without close social connections the teen does not have the necessary support needed to overcome their addiction and stay clean. 3. Being Around Friends Who Still Use- Teen relapse triggers include being around old friends who still abuse drugs or alcohol. Because these individuals still use they may try to pressure the teen in recovery to return to their previous bad habits once more. 4. Being Under Stress- In the early stages of recovery stress can be a big trigger. Teens need to learn how to relieve stress in a positive and healthy way rather than falling back into drug or alcohol abuse. When stress builds up this can trigger a relapse and undo everything that the teen has worked hard for so far. 5. Becoming Overconfident- Teen relapse triggers include a sense of overconfidence, and thoughts of being able to control substances and handle tough situations that often lead to a relapse. Overconfidence can cause the teen to miss meetings and counseling sessions and lead to a very slippery slope.